Established in 1987, Delpark Homes continues to exceed expectations in creating communities of distinction. The family-owned and operated company takes a hands-on approach for all of its projects, scouting out ideal locations, fine-tuning home designs and providing one-on-one customer service. With 25 completed communities located throughout the GTA, Delpark Homes is one of southern Ontario’s most respected builders and continues to take great pride in bringing joy to thousands of homebuyers. 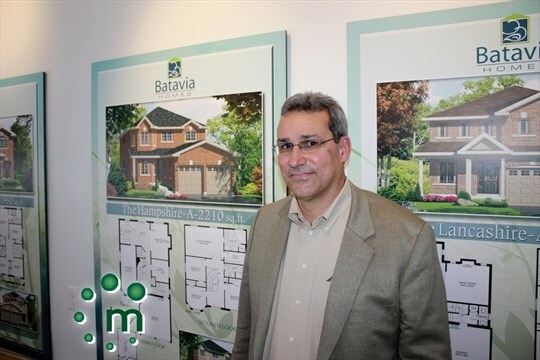 “Delpark Homes was founded by my father, Mario, who was initially a carpenter framing homes for other builders,” says Mark Di Giovanni, Development Manager for Delpark Homes. Signature Delpark Homes communities include Broadview Villas, an exclusive townhome community in the vibrant Danforth Ave. and Broadview Ave. neighbourhood of Toronto. The company’s current Northglen development in Bowmanville is a multi-phase, master-planned community of freehold townhomes and single family homes in a charming village setting, with picturesque greenspace and convenient amenities. Meticulously designed for ideal family living, Northglen offers a village square with a reflecting pond, conservation wooded areas, a splash park, sports areas and playgrounds. 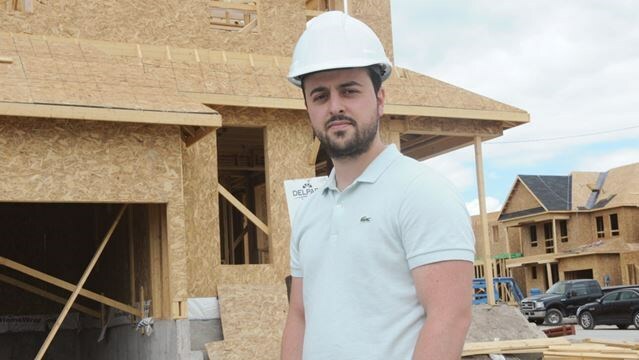 With new projects always on the horizon, Delpark Homes is gearing up to unveil the upcoming The Crosswinds community in Bowmanville and The Brook in North Oshawa. Currently in its preview phase, The Brook will celebrate a grand opening this fall, when the public can visit the sales centre and see all that this community has to offer. Interested purchasers are encouraged to register online at www.delparkhomes.ca, to be first in line for the best selection and pricing. In keeping with Delpark Homes’ keen eye in selecting ideal locations, The Brook is situated at Taunton Road and Grandview Street North, within walking distance of an existing school and a proposed school, and close to great shopping and restaurants on Taunton Road. 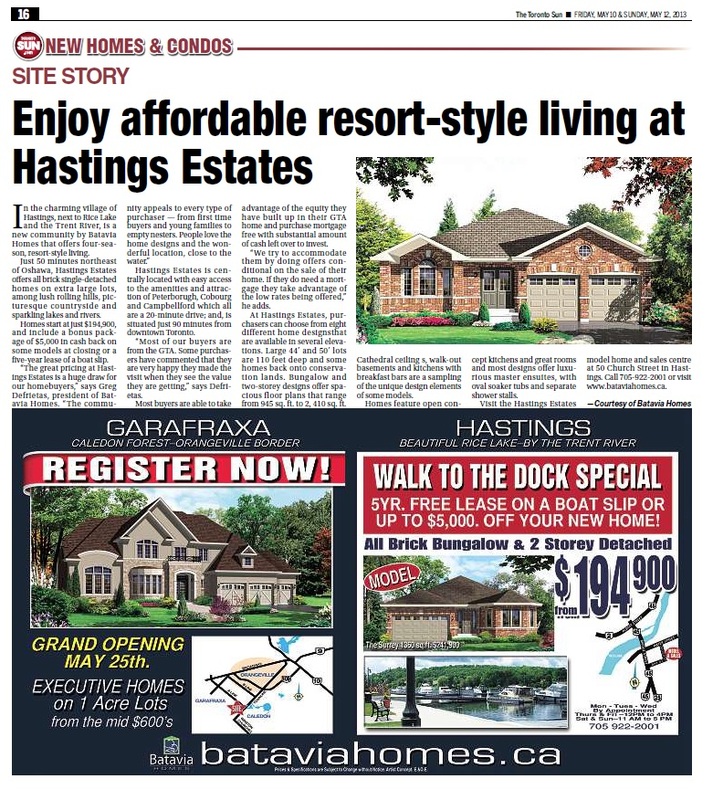 Nestled against Harmony Creek and the waterway’s adjoining conservation lands, two-storey single family homes are available on 30’, 36’ and 40’ lots, with prices starting in the low $400s. Premium locations include 25 lots that back onto the conservation lands, providing homeowners with private backyards and lush natural scenery. Residents of The Brook will have access to a walking trail system within the 10 acres of conservation land located within the community, which will connect to a larger network of trails in the surrounding area. With a Cineplex Theatre, arena, big box shopping and an array of excellent restaurants all close by, there is no shortage of things to see and do. Commuters also have easy access to arterial highways, including the 407 Extension. 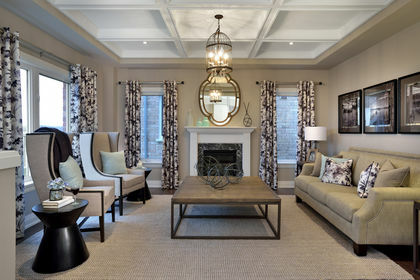 For more information about Delpark Homes communities, call 905-605-8777 or visit www.delparkhomes.ca.